OceanWise Agrees Distribution Arrangements with GPS Geofisica y Posicionamiento Satelital, C.A. 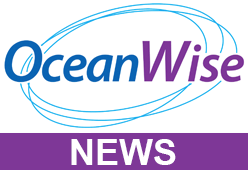 OceanWise > News > Uncategorised > OceanWise Agrees Distribution Arrangements with GPS Geofisica y Posicionamiento Satelital, C.A. OceanWise is pleased to announce the appointment of GPS, Geofisica y Posicionamiento Satelital, C.A., as a distributor of its range of oceanographic software and services. The deal combines GPS instrumentation and equipment supplier capability with OceanWise’s data telemetry, storage and publishing software and services, as well as its expertise in system design and integration, data management, analysis and reporting. GPS is a leading provider in Venezuela of communications, satellite and cellular tracking systems for navigation and berthing as well as supplying specialist services supporting hydrography, oceanography, geodesy, geophysics and hydrometrics. John Pepper, OceanWise’s Marketing Director commented “Increasing numbers of customers across the world are requiring expertise to help them meet the challenge of managing and publishing marine environmental data online in a secure manner. OceanWise provides many years’ experience and expertise in data specification and system design and with our popular off the shelf software and services, we are very pleased to be able to support GPS by expanding our joint specialist capabilities in the region. We look forward to securing and announcing our first project shortly”. Juan Vicente Font, Director of GPS, added that “The benefit of this agreement is timely as it will enable GPS to provide a wider range of solutions utilizing OceanWise oceanographic products and services, given the growing demand in Venezuela and the region”.